Home > Tera Zenith > Tera-zenith boy > Karim-vampire ver. Gift head Select Karim-human ver. 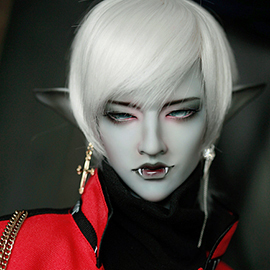 Karim-vampire ver. ④ Layaway period for this doll is 60 months. The work of special skin color is very hard and takes a long time than light skin(White, Normal).